A late start today thanks in no small part to last night's electoral events which had a terrible sense of deja vu about them. 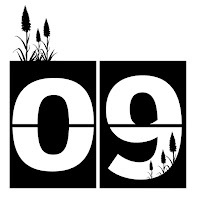 First came the shock exit poll, then a steady stream of naysayers all confident that the pollsters had got it wrong until, in the bleak early hours, we're left to reflect on another fine mess that we seem to have gotten ourselves into. I'm beginning to think that this whole democracy idea isn't everything it's cracked up to be. I jest of course but this was the first vote where I found myself being swayed by several key environmental matters and the uncertain coalition/minority government we're now faced with leaves these things, well, drifting in the wind. Badger culls, Fox hunting, protection of EU regulations, all topics which needed a swift resolution and which are now very unlikely to get one. I may write more on this topic in the coming weeks but for now I recommend keeping tabs on Mark Avery whose blog is sure to capture the mood and lay bare the big issues facing our wildlife better than I ever could. Stuffed full of snack food and on minimal sleep there was definitely a need to blow away the cobwebs and clear my thoughts this afternoon. Surprisingly, given another wet night, conditions were relatively favourable with a brisk breeze keeping temperatures in check and the sun occasionally managing to break through. Burry Port was destination of choice whose wide open spaces would hopefully provide the perfect antithesis to an uncomfortable night on the sofa. 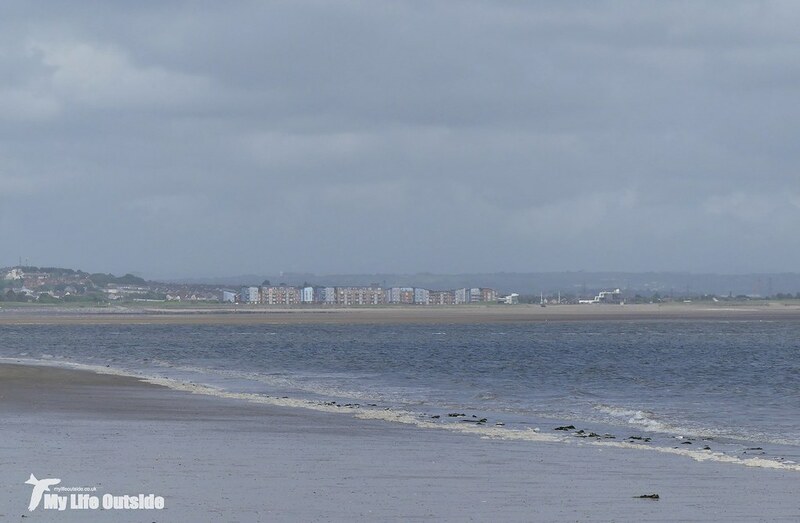 With acres of sand to play with any birds present were spread thinly but the hundreds of Oystercatchers which feed and roost here were easy to spot. Other wader species however were very thin on the ground and the best I could tease from the choppy waters were three Great Crested Grebes and a lone Cormorant. Not my best haul by any means but things were about to look up. 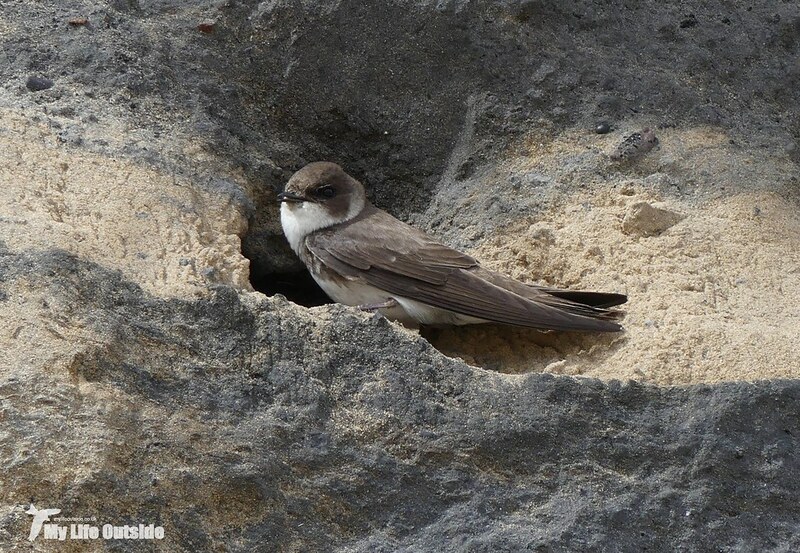 Where the tide has been slowly eroding this stretch of coastline a tall cliff of exposed sand has developed creating the ideal habitat for a Sand Martin colony. We first noticed them a couple of years ago and since then numbers have been building until today I witnessed around sixty birds circling and calling above the area. 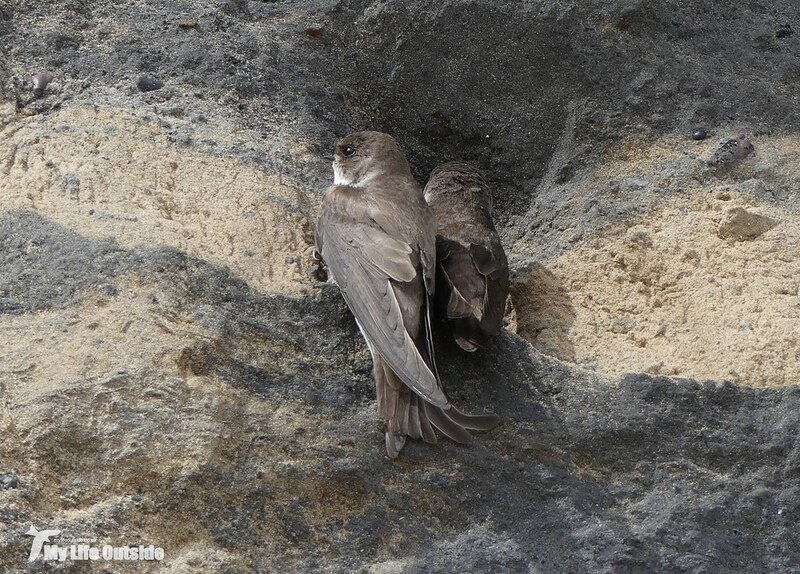 Creeping in closer it quickly became apparent that the Sand Martins weren't bothered about me in the slightest, so intent were they on their own internal politics. 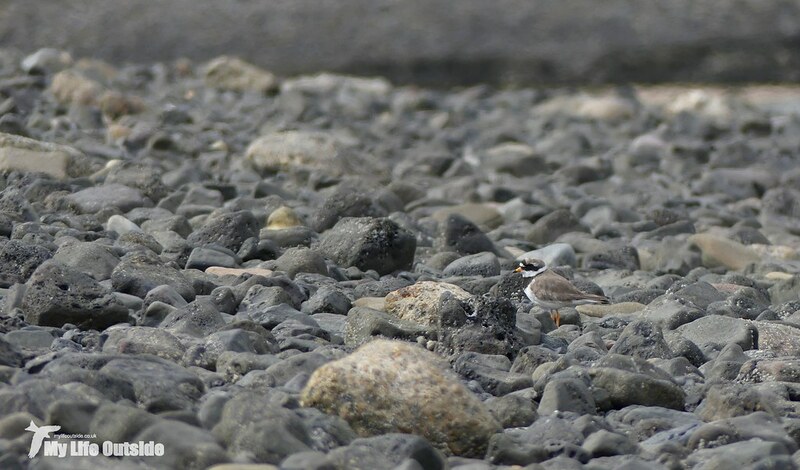 Despite the abundance of nesting holes there were constant squabbles breaking out as either individuals or pairs landed only to be displaced seconds later. Those that did manage a moments peace were busy excavating so egg laying can't be too far away. I sat watching their antics for a good while before moving on but before we do I should mention one other piece of interesting behaviour. 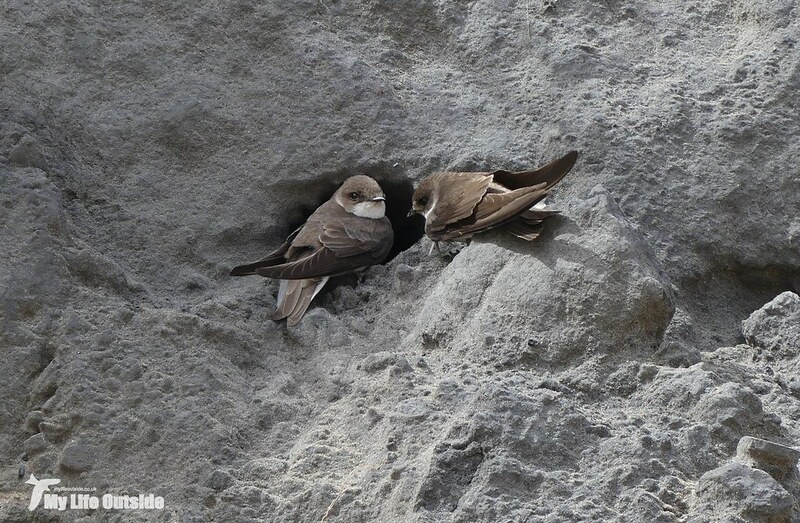 In the midst of all this chaos a Crow decided to fly along the cliff line and outside the Sand Martin colony dropped its speed considerably, eyeing up each nest hole in turn. This sent the birds berserk and as they coalesced into a tighter pack their calls became noticeably more intense. This didn't seem to bother the Crow one little bit but I suspect that now it knows of their location it will be back. 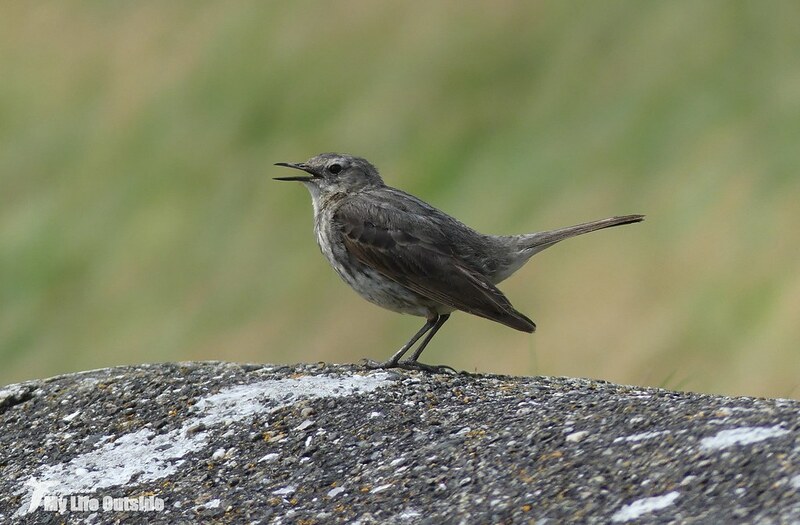 Hirundines weren't the only birds intent on breeding and defending their territory as alongside old Pembrey harbour I encountered a very vocal Rock Pipit. It was clearly trying to lead me away by calling, flapping its wings and parachuting so I presume there must be a nest nearby. 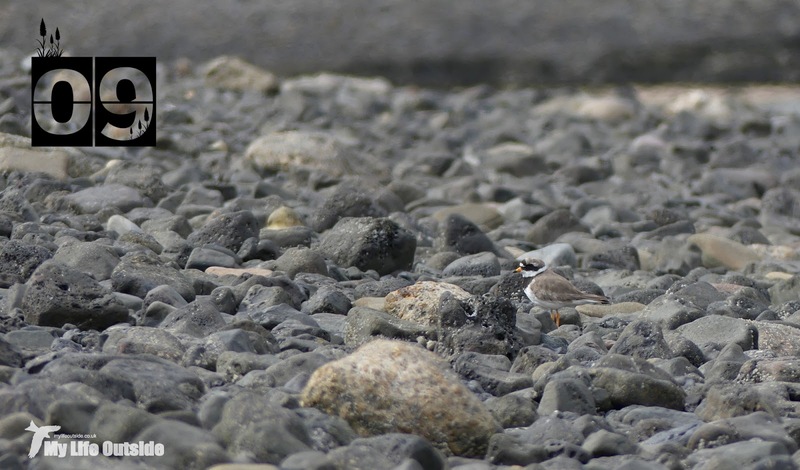 I suspected the same when stumbling across a pair of Ringed Plovers so, very gingerly, got back onto firmer ground and left them to it. 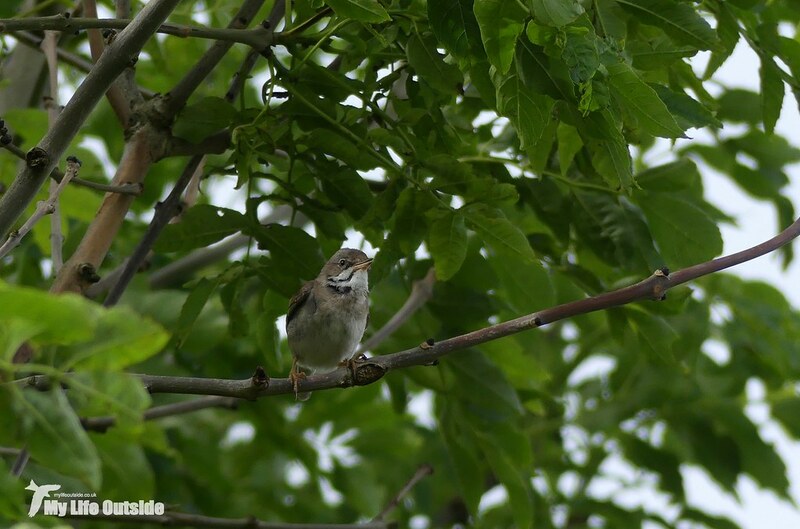 Even then I couldn't escape the calls of angry birds as a male Whitethroat popped out of the undergrowth and sat shouting at me from a branch overhead. Come on guys, I've been up half the night! Thankfully not all our wildlife was quite so intent on splitting my head in two as my next subjects demonstrate. 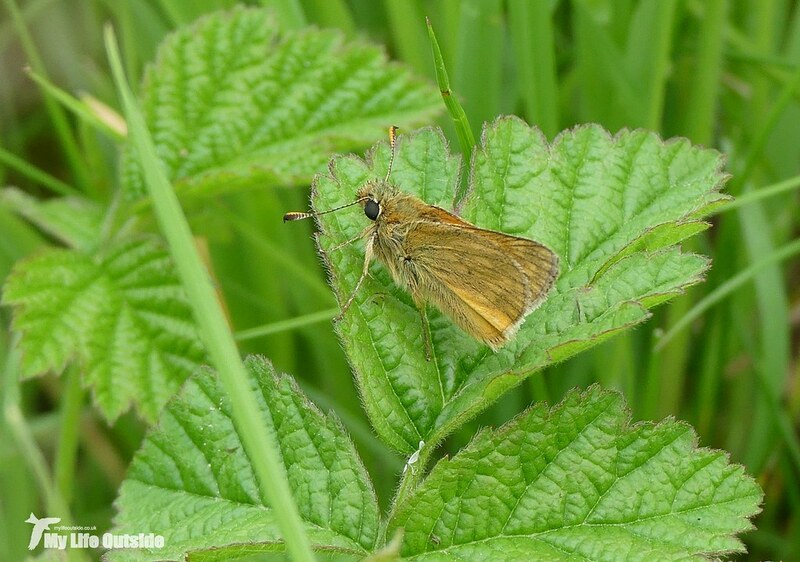 Given the windy conditions I hadn't held out much hope for butterflies but in an uncut verge I found not only my first Large Skipper of the year but also, if memory serves, my first Burnet moth outside of Scotland. To finish with I couldn't help but crack a smile at what's currently going on in Burry Port itself. 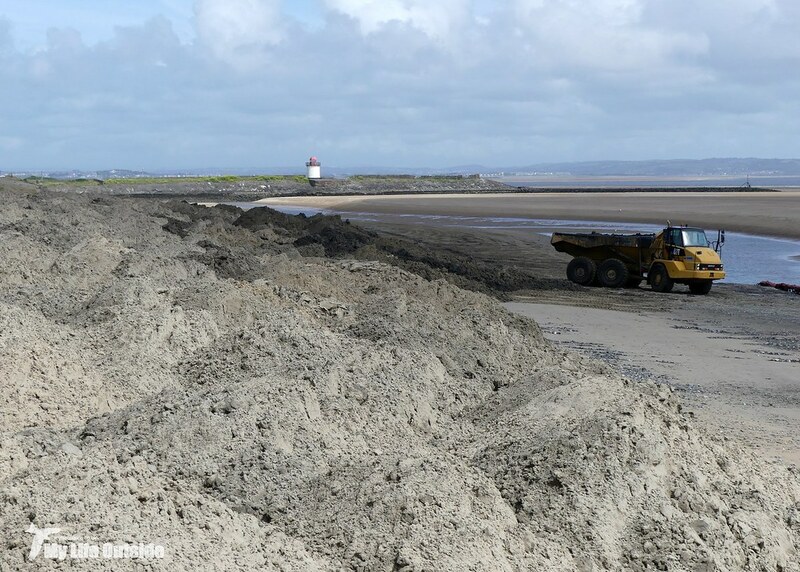 At first I thought giant moles had invaded after coming across huge mounds of sand on the beach but four large dumper trucks racing towards me soon clarified the situation. It seems that I had stumbled across the annual dredging exercise required to keep the harbour navigable, a task that seems more futile with each passing year. Since moving here I have seen both the size and number of boats moored steadily decrease as the times at which it's actually possible to launch reduce along with the available draft. 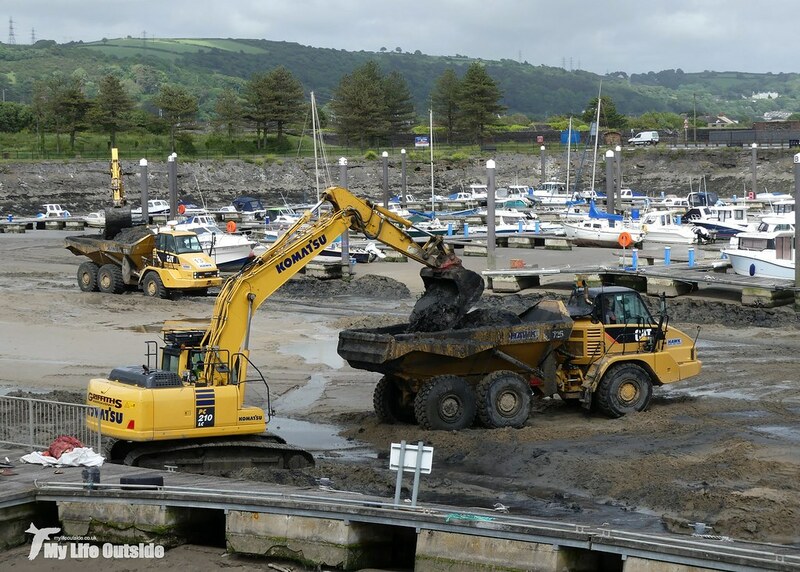 Watching the two diggers feed these large trucks just seemed like a tiny drop in the ocean compared with the volume of material which needs to be removed, the small window of opportunity each day in which to do so and the fact that each high tide will just bring a new batch of sand in. If you listen to the locals, and it's hard not to as this topic is a particular favourite of theirs, the only viable solution is a return to lock gates and a removal of the barrier built across the harbour mouth to retain water at low tide. At present the latter seems to act only as a silt trap and one need only look at this harbours predecessor, Pembrey, to discover what happens when the shifting sands become uncontrollable.